THE AUTHOR OF THESE HUBS OFFERS GUITAR LESSONS WORLDWIDE VIA ZOEN. 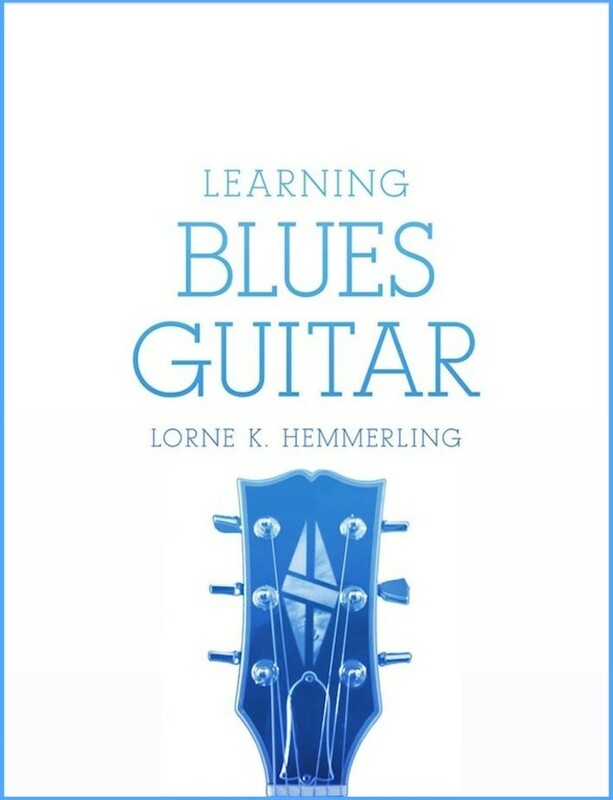 Review by Karen: Starts at the beginning and breaks the blues down in a well articulated way. It exponentially grows from there. This is for someone who wants to learn how to stand out. This live DVD performance of the GRAMMY WINNING album ""Take Your Pick"" is a paring of modern Eastern and Western guitar styles has proven to deliver a collection of music unlike any other. Album entered into the Japan pop rock charts at #2. First time in 35 years an instrumental album has done so. 2010 ""Take Your Pick"" Tour in Japan sold out 18 shows in 20 minutes. 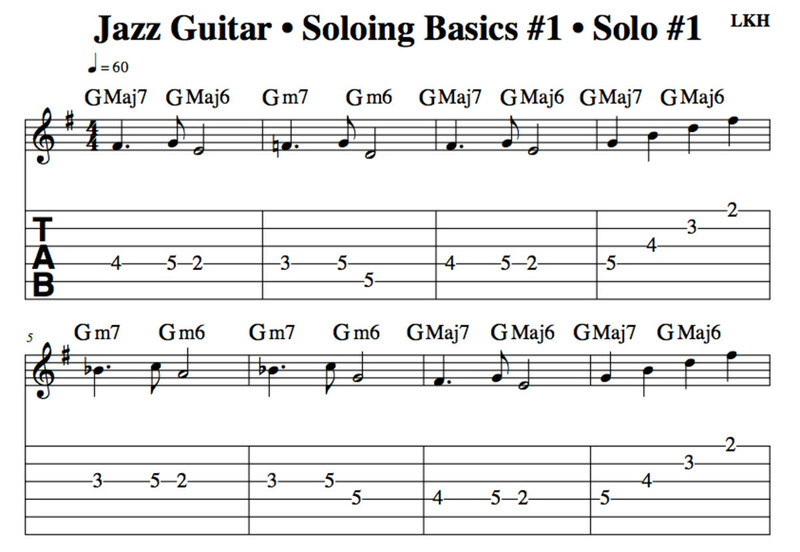 This is the beginning of a multi-part course on jazz guitar soloing. 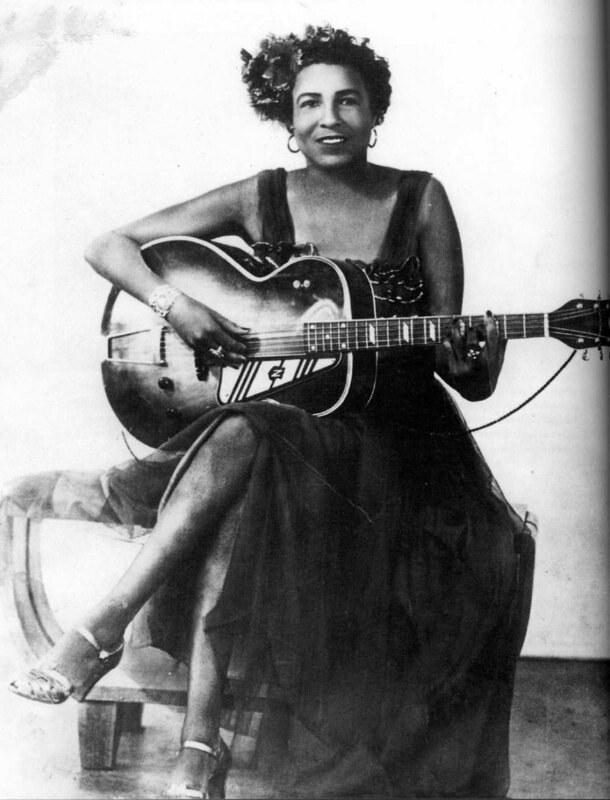 Jazz music has long been considered as one of the most complex forms of music, and rightly so. 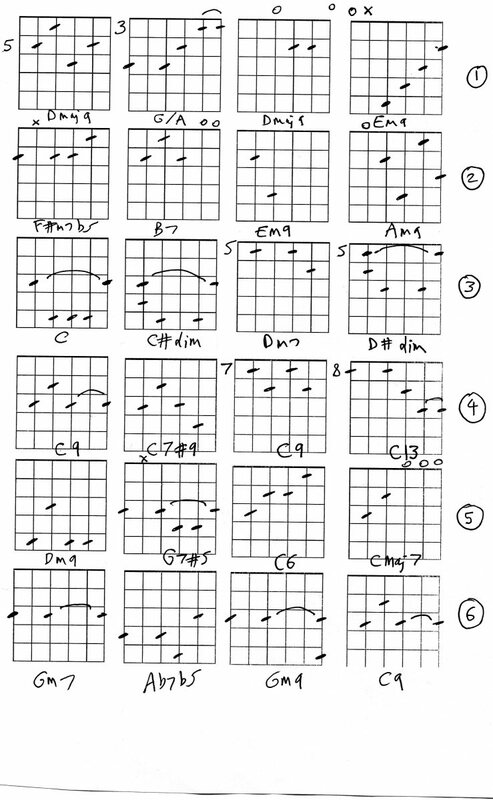 A thorough understanding of guitar fundamentals (barre chords, scales, chord structure, etc.) is necessary before attempting to understand what is going on. This course will lay the groundwork and get you on the right path, but no one can teach you the feel and soul that is needed to improvise freely and melodically. This has to come from within. It does not matter what genre of music you play, this has to be there. I will attempt here, as I do in all my lessons to make the theory as easy to understand as possible. No matter how much, or complicated the theory is, the basic premise is always the same: IF IT SOUNDS RIGHT, IT IS RIGHT! Having said that, much jazz improvisation involves 'dissonance' (sounds that are foreign to the ear, they simply sound out of place). These notes may sound wrong, but if you analyze the theory behind their placement, you will find they are correct (unless, of course the performer has made a mistake). In these examples, I will stick to 'consonant' sounds (notes that are pleasing to the ear). 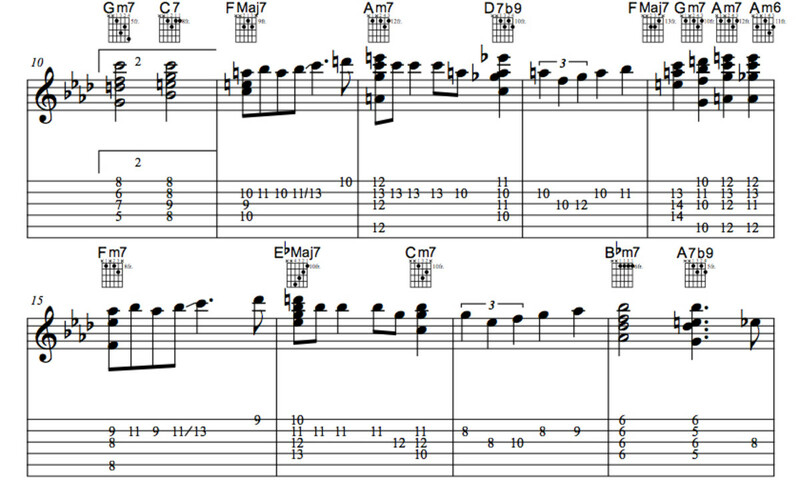 This is a standard twelve bar blues progression In G, re-harmonized to make it sound more jazz-like. The normal one chord (in this case, G7), has been replaced by the GMaj7 to GMaj6 change. 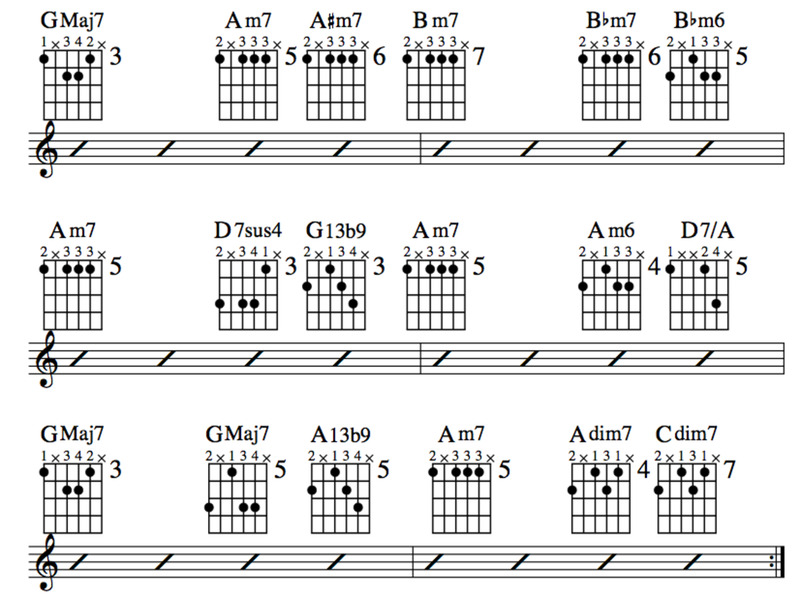 These chords are a staple in jazz progressions, but certainly nothing out of the ordinary. 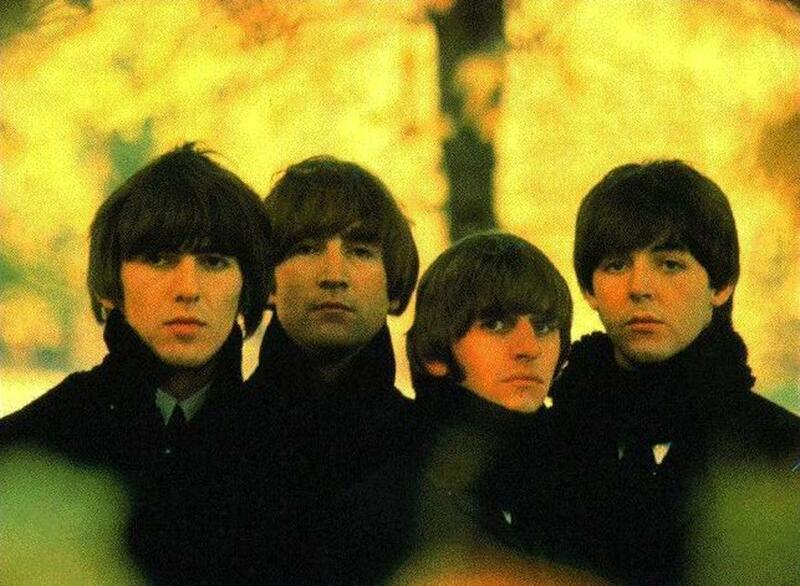 They show up in many styles of music. These new chords lend a mellower sound to the twelve bar format, taking away the grit of the dominant seventh or ninth chords. The four and five chords (in this case, C7 and D7), have been replaced by a standard jazz substitution: min7 and min6 chords. 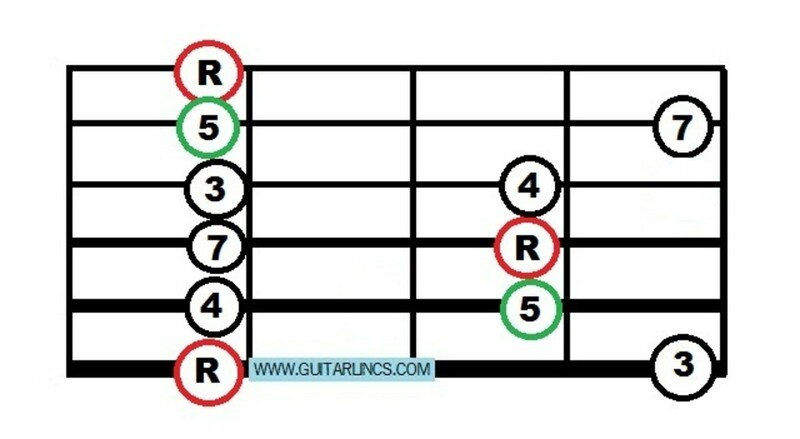 Think of these chords as being built on the fifth degree of the dominant chord. EG: the fifth degree of C7 is G, the resulting min7 chord is Gm7, the fifth degree of D7 is A, the resulting chord being Am7. This is a very mellow sounding substitution, and seems to work ninety nine percent of the time. 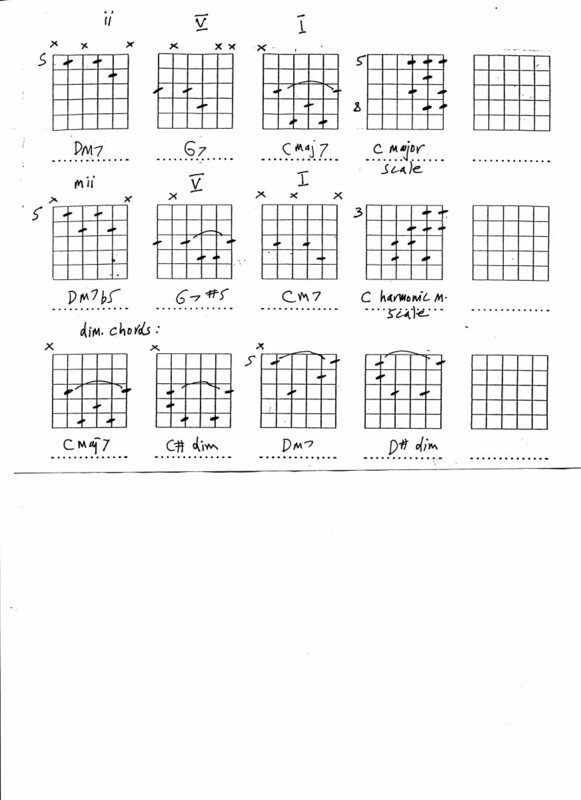 For more on jazz chord substitution see: Jazz Guitar • Chord Substitution Chart • Jazz Turnarounds • Stormy Monday Chord Substitutions. 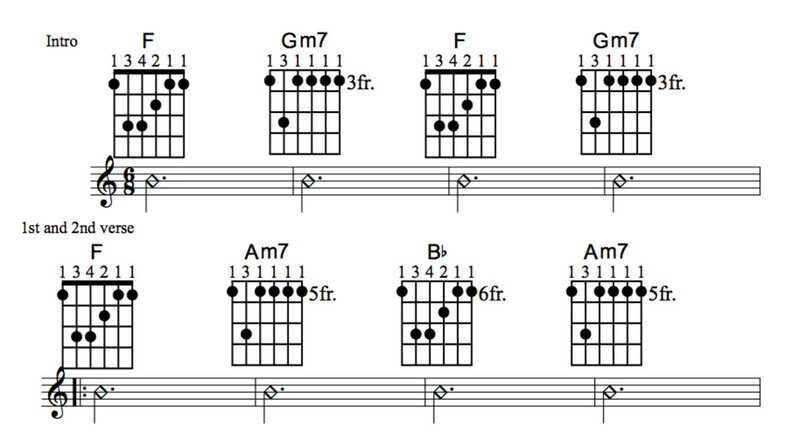 This lesson is loaded with info on chord substitutions. It is the same for Am7 (replacing the normal dominant D7), but, Am7 forces no alterations to the G Major scale, because it is the second chord of the G Major scale, therefore the resulting mode is the second mode of G Major: A Dorian. Here is a simple solo demonstrating the use and sound of the modes over the chord progression. Notice the use of repetition in the melody and phrasing, kind of a call and response theme. Keeping the solo simple and the use of repetition makes the important 'target notes' (notes that are usually chord tones), really stand out. No matter what genre or how complex the solo is, this technique really adds interest and melody to the solo as opposed to throwing in notes blindly. In all of your improvising, try to avoid what I call 'afterthoughts'. If a phrase sounds good ending on a certain note, do not add any more, just because you think you are underplaying. One well placed note can sound better than twenty badly placed notes! Analyze each measure, comparing the notes, to the modes from the previous section. This will greatly fortify your understanding of the role of the modes. Once again, IF IT SOUNDS RIGHT, IT IS RIGHT! 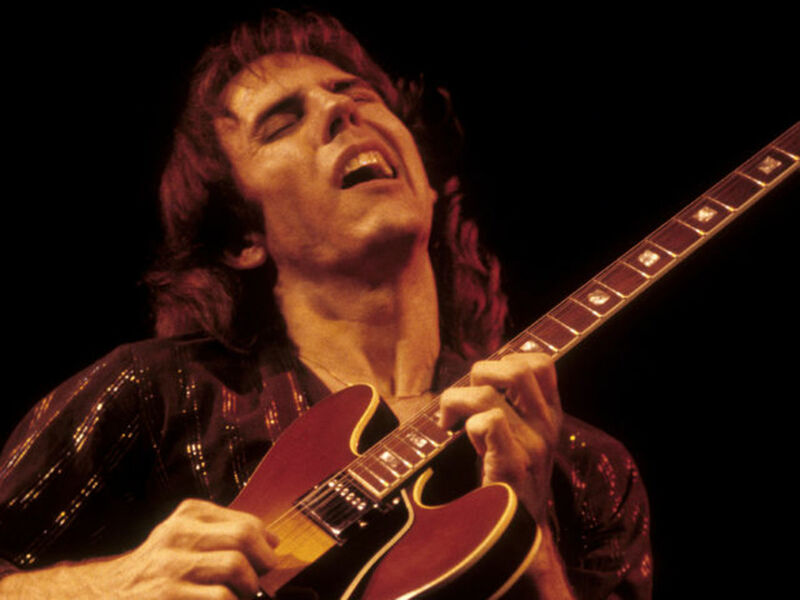 Understanding the theory is a huge part of soloing, but the sound must be in your head as well as your hands. 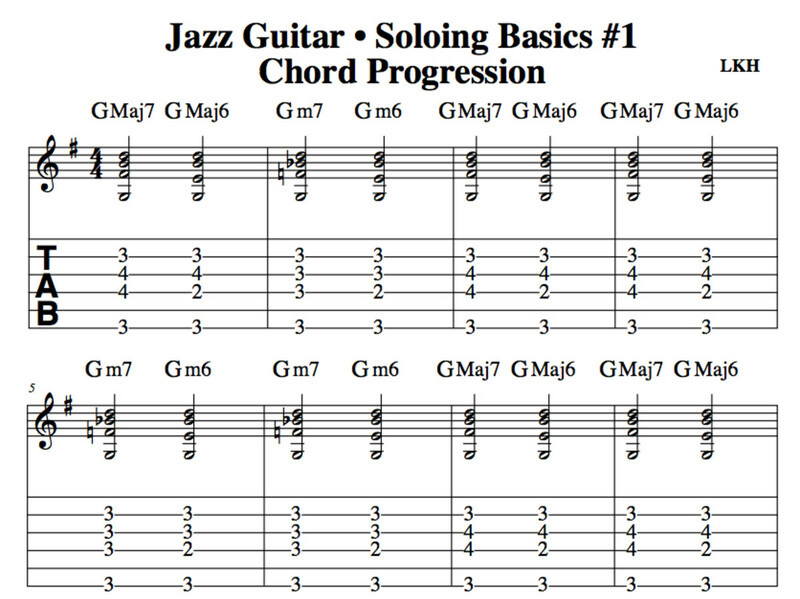 Jazz Guitar Lessons • Jazz Chord Substitution Part Three • Charts, Altered Chords, Videos. 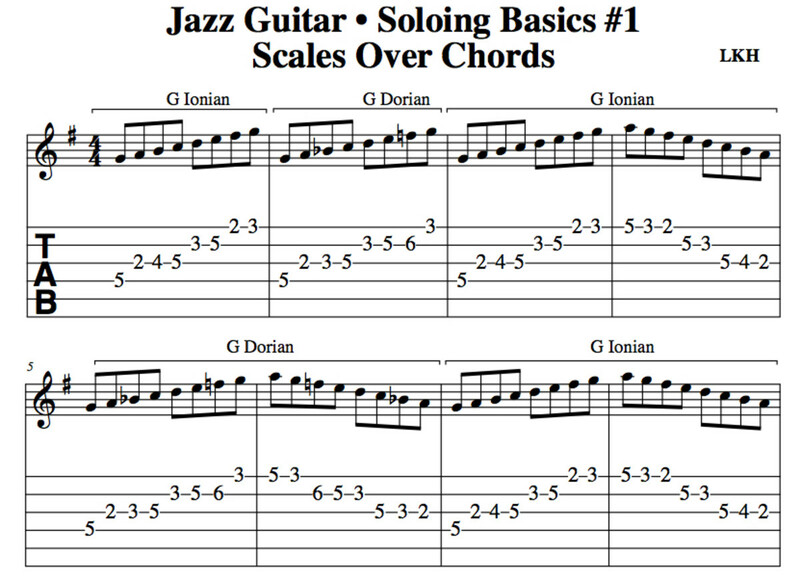 Jazz Guitar Lessons • When Sunny Gets Blue Chord Melody • Chords, Chord Chart, Melody, Video Lessons. Guitar Lessons • How To Play And I Love Her • The Beatles • Chords, Strum Pattern, Arpeggios, Solo, Tab, Videos. want toplay and sing.i feel song.